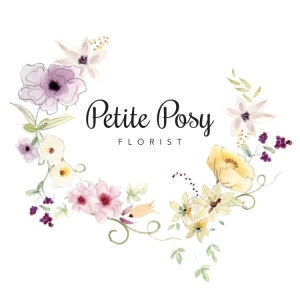 Waikato s most trusted leading Artisan Florist. 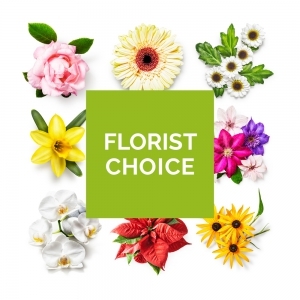 Located in the heart of Te Awamutu we offer the freshest flowers sourced from local Growers. 100% gaurentee on all our fresh floral bouquets. 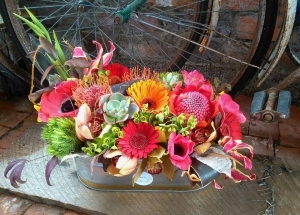 We are Waikatos Artisan Florist. 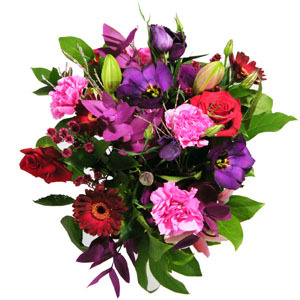 Say it with flowers , we have a wide selection of flowers for every occasion. Saturday by arrangement given 24 hours notice. Special Occasions, Weddings, Contracts, everyday flowers and Gift Crates. Te Awamutu, Hamilton, Cambridge, Matamata and Pirongia, Morrinsville. Very quik delivery. Beautiful flowers. We were assured by our New Zealand relatives that the flowers were fresh and beautiful. Just what I ordered. Very sincere thanks from the other side of the world. Good price easy to order. Completely different flowers than picture and arrangement wasn't same shape as picture (in picture they came up to a point) but they were beautiful. And good value for money all the same. 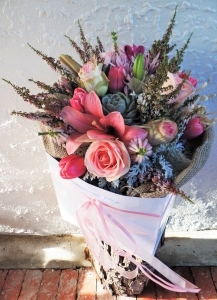 Its awesome that I can order flowers from here and know they'll be delivered the same day! Without being able to see what was delivered I've given a good rating. The recipient was pleased with them. Highest rating possible. Our mother/grandmother was absolutely amazed with your flowers. Thank you ever so much. Recipient was over the moon with the flowers. 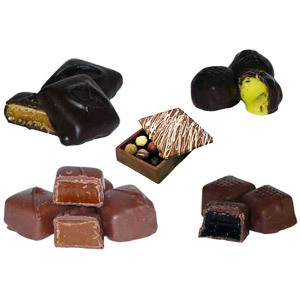 Our Luxurious Gift Crates are a perfect option when is comes to a special occasion. 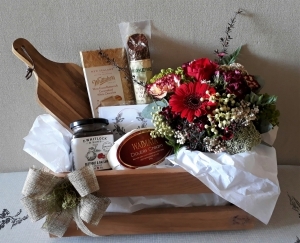 All of the products you see are hand selected from the finest NZ artisan range and the most freshest handmade long lasting flowers to accompany all the products, nestled into our signature recycled wood crates. __________________________*___________________________ For the lovers of Coffee and Chocolate This luxurious crate includes - hand crafted roasted Almond Fingers, Whittaker's NZ Artisan Supreme roasted coffee dark chocolate block, invigorating fresh roasted L'Affare Brava fair trade organic plunger & filter coffee, Donovan's gourmet handmade Russian Fudge squares and a beautiful clean white, fresh green posy of seasonal flowers, in a container of fresh water accompanied with flower care instructions and flower food inside a complimentary handmade card for your message. Our Luxurious Gift Crates are a perfect option when is comes to a special occasion. 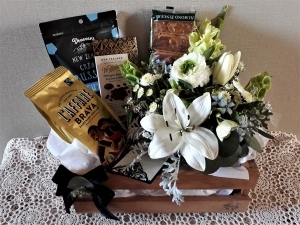 All of the products you see are hand selected from the finest NZ artisan range and the most freshest handmade long lasting flowers to accompany all the products, nestled into our signature recycled wood crates. __________________________*___________________________ This luxurious crate includes - F. Whitlock & Sons beetroot and caramelized onion relish, Traditional Aged Peppered Hungarian Salami, handmade in NZ, deliciously soft Waimata fully matured Double Cream Cows Milk Cheese, natural wooden cheese board, Whittakers caramelized buttermilk and white chocolate artisan block finished with our florists choice of rich reds, deep maroons, and bright rich posy of fresh seasonal flowers in a container of fresh water accompanied with flower care instructions and flower food inside a complimentary handmade card for your message. Our Luxurious Gift Crates are a perfect option when is comes to a special occasion. 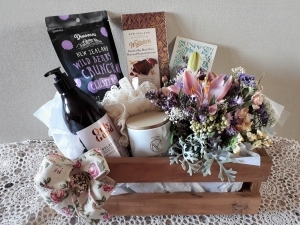 All of the products you see are hand selected from the finest NZ artisan range and the most freshest handmade long lasting flowers to accompany all the products nestled into our signature recycled wood crates. This Deluxe crate includes - Donovan's finest wild berry cluster crunches, Only Good Balance 100% natural Rosehip and Chamomile body wash, Organic soft waffle lather, Whittakers Artisan Black Doris Plum and Roasted Almond NZ Dark Chocolate, handcraft artisan scented Soy candle with a 10 hour burn time and the florists choice of a pink and purple posy of fresh seasonal flowers in a container of fresh water accompanied with flower care instructions and flower food inside a complimentary handmade card.